This modern Trombly floor lamp invokes machinist pulleys and cables. The bulb dangles from sleek black frame, tilting 180 degrees for radiant light at your desired height. 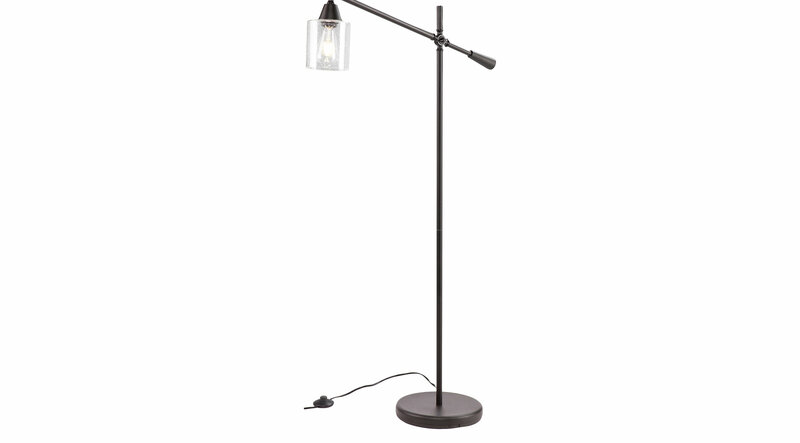 Stand this contemporary accent lamp behind a sofa, your favorite reading chair, or the hall for hip, industrial illumination with the tap of a switch. Bubbled finish will vary lamp to lamp for one-of-a-kind look. Some customer assembly required.